That architects should read and write has been my sub-conscious realisation for a long time. I learnt to read and attempted to write even before I became a professionally trained architect and part of a breed that essentially deals in drawings. Reading and writing, like design, is something I feel strongly about, and the course on research and methods of inquiry that I teach at the School of Planning and Architecture to post-graduate students of Industrial Design, tries to integrate this through a large number and range of visual and textual sources. 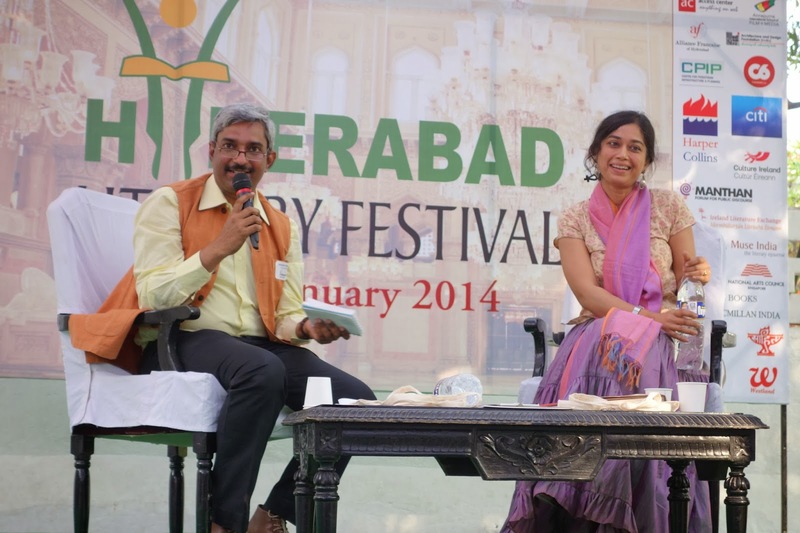 Why I choose to write rather than just design is something I was asked at the discussion following a public reading of my book at the Hyderabad Literary Festival. 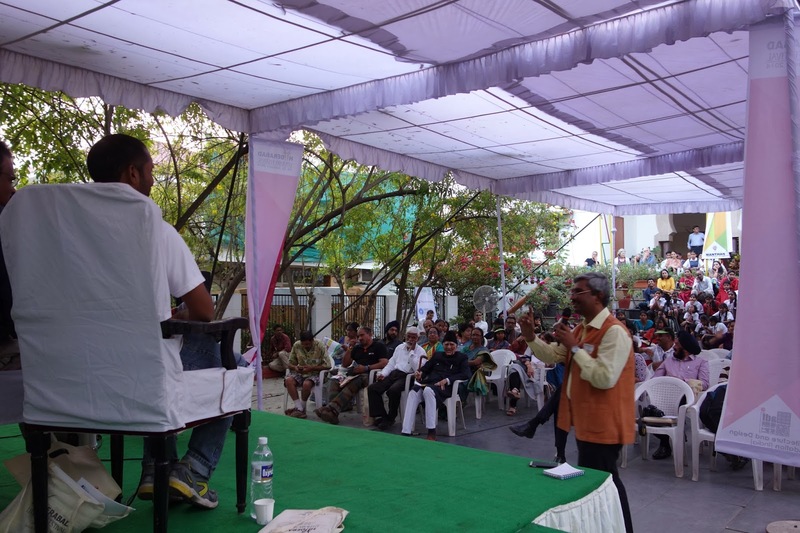 The question was put to me by Srinivas Murthy, a Director of the Festival and an architect with an extensive practice who, through the Architecture and Design Foundation [India], is trying to engage people with architecture and architectural writing. There are reasons related to my interests and temperament, which make me do so, as I explained then. But I feel impelled to look at this question at a larger level, triggered off from an observation by another architect on Facebook, that “architecture and writing are oxymorons”. Why indeed should architects read and be read? As I try to put together why I think so, I would like to share two related references that I coincidently came across while reading two very different sorts of writing, almost immediately after the Festival on my return to Delhi. “When I write a novel there are lots of short stories in it, but then in novels you have to be like an architect. Even if you do draw the prettiest windows and doors and walls, you need to know how to put them together, without which the work is useless”. As all of us who study architecture know well enough, architects are trained to put together disparate elements that go up into making a habitation, and also to constantly ‘zoom in and out’ as it were. We are made to look at a house or a city or a room from up in the air (‘the bird’s eye-view’ in common architectural parlance); slice ‘sections’ of the spaces and structures; make ‘front and back elevations’; draw up the details ‘larger than life and twice as natural’. All this compels architects to at least try to examine a ‘design problem’ in its entirety—and enables most to look at several alternative points of view simultaneously. Reading, I find, is an extension of the same exercise. It enables one to inhabit and enter other ‘alternative’ views of spaces and structures. Reading prods, informs, inspires. Ultimately, it provokes thought. So, it is important for everybody, not just designers. But, it is especially important for designers, since it not only feeds the imagination but also equips one to visualise personal images of other people’s experiences and buildings. Since, invariably, architects (unless they are enormously rich) have to design for other people than themselves, reading gives one empathy for other people’s needs and views, and also enriches one’s imagination by being able to summon up appropriate images that can be translated into specific designs for those people. Secondly, it helps to communicate better, which is equally important since design is as much about understanding the client’s requirements and translating it into a workable satisfying solution, as it is about communicating that design to the client. And there we come to the crux of the issue. Architects and designers seem to speak a different language from that of the clients! Even when they use the same words they mean different things, and a common complaint against architects is that they use words that no one else but an architect can understand. So, one of the reasons I write is to see whether I can make myself understood not just to a small section of people mouthing jargon, but so that I may ‘speak’ to both architects and non-architects. And it is important to speak about architecture, since it is something that affects all of us most profoundly. Architecture, unlike art, is a public activity. You cannot ‘hang’ buildings inside your walls, shut it behind doors; lock it up in safes and display it momentarily to the connoisseur. On the contrary, you can ‘hang-out’ in architecture. Whether we like it or not, most of us will be enclosed by and within architecture for a great part of our lives. The shape and form of our cities and homes has a direct result on how we grow, how we think, what we feel. Well-lit, pleasant, airy spaces generally make us feel happy; just as dark, dingy, unpleasant spaces make us discontented. The truth is that clients and architects, users and designers are equally necessary for good architecture. And they can only work together when they speak the same language. Part of the reason, I think, I can communicate in writing, is because I read so extensively. When I was younger, it was just about everything I could lay my hands on—which was a lot, thanks to the wonderful collections in the libraries in the Army cantonments where I grew up. Later on, it was almost exclusively poetry and fiction, literary or otherwise. Even during a brief lull, when the load of architectural submissions prohibited extensive reading, I continued to dip into such writing for sustenance. But, reading on fiction and poetry is not enough, and I have to thank Snehanshu for revealing the truth that music, economics, stage-craft, philosophy, et al can be—when well-written—as absorbing as, and often stranger than fiction. Most architects of course, go the other way. They only read books on architecture. Which is why I would always find the set of the entire plays of George Bernard Shaw nestling un-borrowed in the shelves of the School of Planning and Architecture Library, and probably remain practically the only person in my college to have ever availed of the opportunity of borrowing them! And where does writing come into all this? Just as the process of making drawings is a way of clarifying the design as an architect proceeds in evolving it, similarly the process of writing is a way of clarifying one’s thoughts and giving them a structure and physical shape. Finally, it is only when you are clear about what you think, that you can clearly state this to others. So, writing is an essential part of clarifying and communicating to oneself—and to others. When we write, it is first of all, a dialogue with ourselves that we initiate. So, our thoughts, instead of being half-formed ideas that flit in and out, take tangible form. We commit ourselves on paper, as it were, and literally see ‘what’ and ‘how’ we think. A good piece of writing, like a good piece of architecture, needs to have a satisfying base, a discernible middle and a well-knit conclusion. Both require intuitive as well as analytical practice. Of course, the other common thing between writing and architecture is that everyone, since they inhabit buildings, believes they are equipped to design them too. Just as everybody (especially if you look at the amount of stuff being published today) believes they can write. And that brings me to the line I recently encountered in the short story ‘A Shocking Affair’ by P.G. Wodehouse in his Tales of St. Austin’s. Most architects will readily agree with me if I add ‘and designing a house’ to make that ‘four things’. A number of people consider architecture a superfluous activity and one not worth paying for—or at least not paying too much for. Since we are only able to talk to some of our fellow architects or to ‘educated’ clients, we can’t get around to changing this situation. Just like a limited vocabulary of ideas and space inhibits and limits design, and makes you repetitive without being creative, similarly a limited vocabulary of words and ideas does not allow you to have a sustained and wide-ranging conversation. So, we create an exclusive world for ourselves where we think we are indispensable and many prospective clients think we are superfluous! But finally, meaningful architecture is the outcome of a dialogue and collaboration. And a dialogue can only happen when we speak to each other and are understood by one another. 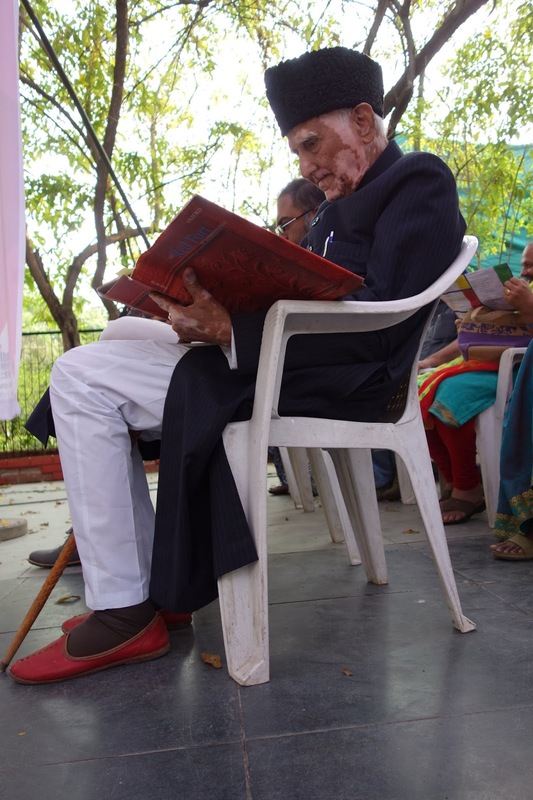 Writing enables one to ‘speak’ to a greater number of people than those in the immediate vicinity, and reading allows you to ‘listen’ to a greater number of voices than those in your immediate neighbourhood, or even in your own lifetime. This is what I discovered when I started researching and then writing, essentially to understand architectural space and detail. The published outcome in The Red Fort of Shahjahanabad is as much an exploration of a historical space that we still inhabit, as a summoning up of those spaces through words and images. Sharing these words, ideas and images enables us to have vibrant, participative societies and spaces. 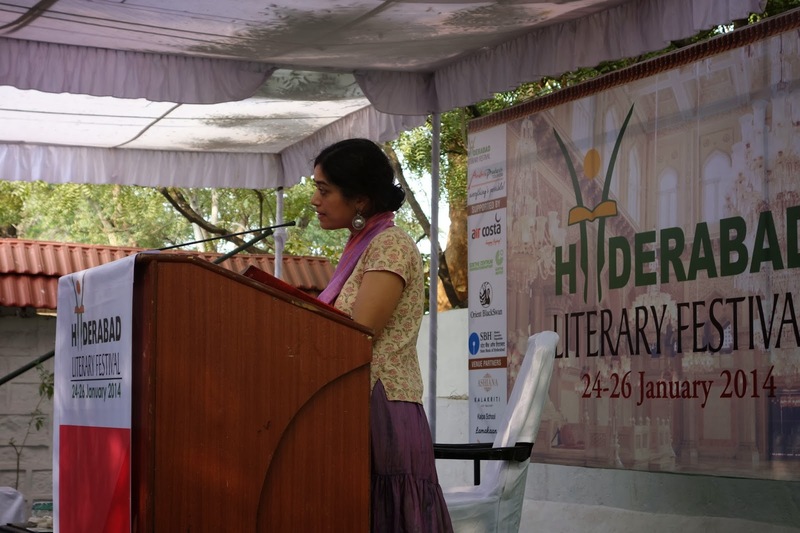 The three-day events at the Hyderabad Literary Festival, located in public, accessible spaces within the city brought together many sorts of people and enabled them to speak and listen, rather than confine such discussion to an exclusive small minority. Lest we think this is necessarily only a feature of modern democracy, we have widespread precedence for this sort of creative dialogue in India. I learnt this during my research in trying to understand the architectural spaces and functions around The Red Fort of Shahjahanabad. And how did I come to know this? Through another book. This book has, coincidently, a connection with both Hyderabad and Delhi. It is the memoirs of Dargah Quli Khan, an official who held important positions in the autonomous principality of Hyderabad under its ruler, the Nizam Asaf Jah I. Which is why architects should read—and not just books of architecture. But why should they write? One can argue that, just because architecture is such an all-pervasive activity, any sort of writing will touch upon architecture, describe it, set events within it. So, why should architects write? Because—and this is important—architects are actually made to look at spaces analytically and completely, not as fragmented experiences or as ‘stylistic developments’ confined to just the changing shape of a column or a cornice. So, they bring a unique point of view to the act of looking at and using spaces, which they need to share not just through the act of designing but also through writing and speaking. But naturally, they need to have something to say, and how they say it is an outcome of discipline, talent, content and intent. If they write to mystify rather than clarify, then they should probably resist the urge to write. I remember the first architectural book I started to read shortly after joining the School of Planning and Architecture. Despite that fact that I was ‘well-read’, and had extensively edited and written all through high school, I could not understand a word of what was being said. Replete with jargon, it was a fairly numbing experience—as if I had been suddenly rendered both illiterate and inarticulate. So, perhaps, though all architects should read—not all should be read! The Hindu, Metro Plus, Monday January 27, 2014, ‘Scenes from a City’. Namaste. Madam thank you very much for your valuable comment to my Lamps of India message. Anisha madam please look into these new posts relating to our Heritage and Culture which i shared in my Heritage of India blog and share your valuable and encouraging comments. Nice blog shared here. One can also get the details of architecture colleges in maharashtra list only at SMMCA Nagpur. Architecture thinking eyesight. his/her vision is good about design.